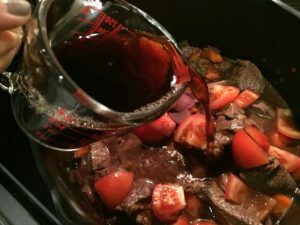 A pot of hearty red wine slow braised beef stew with lots of tomatoes is the best remedy to the cold breeze winter season. Tomatoes are rich in lycopene, a phytonutrient that helps combat inflammation, which has been linked to stress. 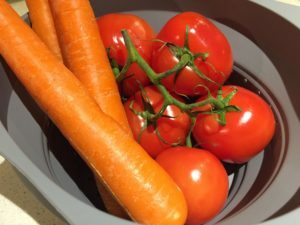 If you are a tomato lover like me, I believe you would also enjoy eating away chunks of freshly cut tomatoes while you cook. 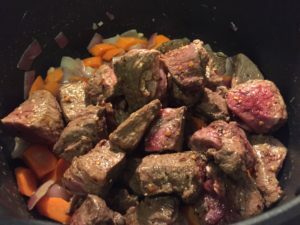 This easy beef stew recipe takes only 10 minutes to prepare the ingredients ( just the chopping of the fresh produces part taking up some time) . The actual cooking time is just 20 minutes. 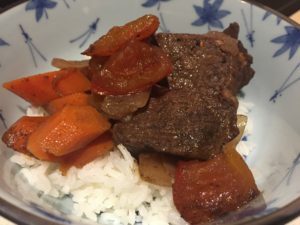 All you have to do is just sit and let the beef stew slow braise. Easy-peasy. 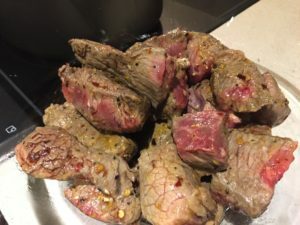 1.Slightly rub the beef chunks in with your favorite meat spice mix. 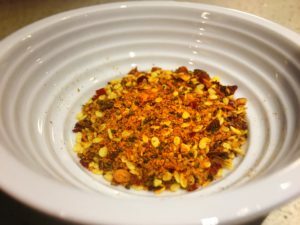 I used my very favorite spice mix from Tender Loving Spice Company. 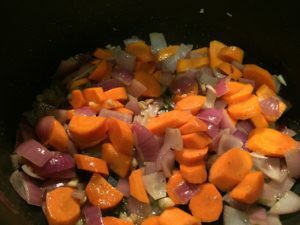 Their spice powder is my secret weapon to making everything taste great. Let them sit for about 20 minutes. 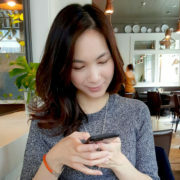 While waiting, peel the carrots and chop them into small slices. Cut tomatoes into medium size chunks. 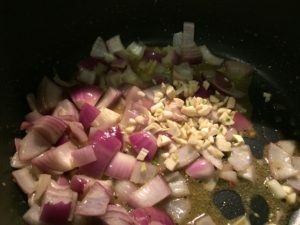 Chop the garlic into small bits. Slice the onions and chop into square pieces. 2.Turn on medium high heat. 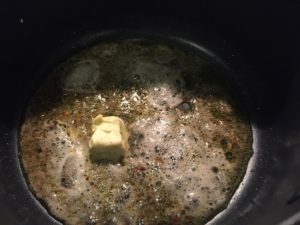 Add olive oil into the stew pot pan. 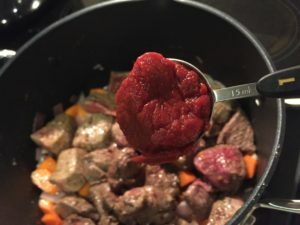 Add the beef chunks into the pot. Cook until both sides are seared. 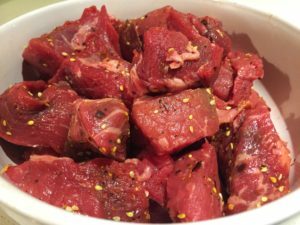 Remove the beef from the pot and set aside. 3.No need to wash pot. Add butter and let it melt. 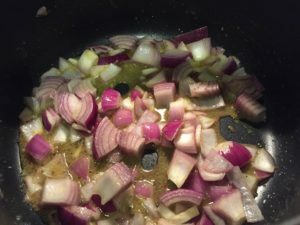 Add the chopped onions and stir fry until it turns half transparent. 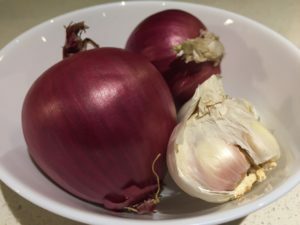 4.Add the garlic and give it a gentle mix stir for about a minute. Add the carrots and give it another gentle mix stir. 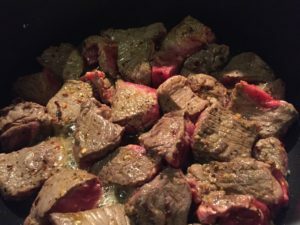 Let it cook while you tend to the beef chunks. 5.Lower the stove to a medium heat. 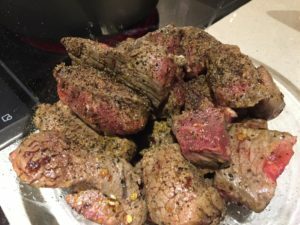 Sprinkle some pepper onto the beef chunk. Put them back into the pot and give it a good stir. 6.Add the tomato paste. 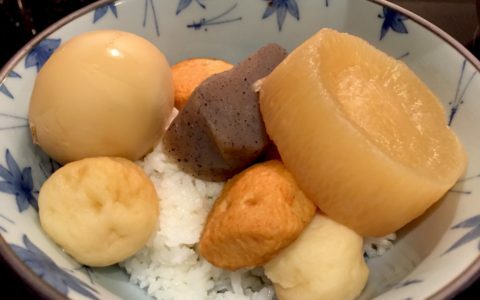 Stir until the paste is even among the ingredients in the pot. 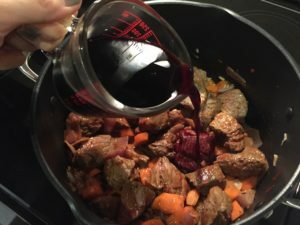 Slowly pour the red wine into the pot and give it another gentle stir. 7.Add the tomato chunks. Spread them throughout the pot. Slowly pour in the beef stock and gently stir the ingredients. 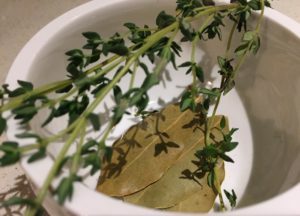 8.Put the thyme and bay leaves into the stew. These will need to be removed at the end of the cooking so be gentle and just place them into the liquid and keep them as whole as possible. At this point, put the cover on and turn to a low heat. 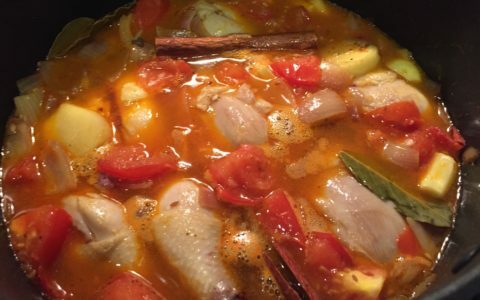 Let simmer for 2 to 2.5 hours depending on your preference of how you like the flavour of the stew to be. 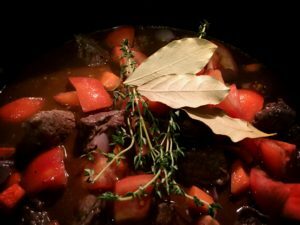 9.After simmering to your desire flavour and tenderness of the beef chunks, remove the thyme and bay leaves. This stew can go with pretty much anything. 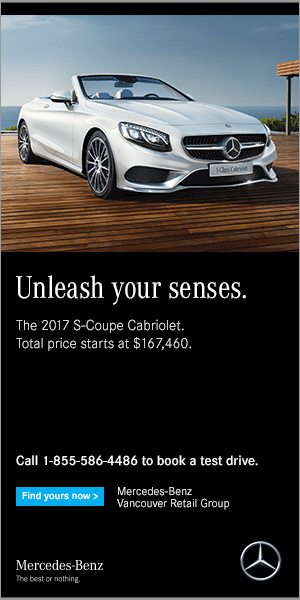 I often pair mine with rice. Spaghetti and any forms of pasta would be just as great. 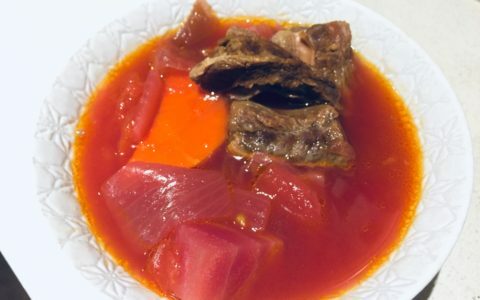 #cobrachomprecipe #cobrachomp #recipe #redwineslowbraisedbeefstew #winterrecipe #slowbraised #beefstew #redwine #tenderlovingspice #delicious #onepotcooking #onepotrecipe #onepotmeal #kailaso #TenderLovingSpiceCo. 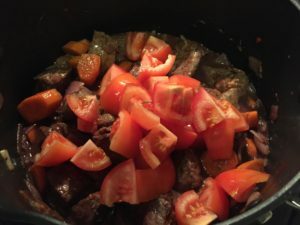 Tags: lycopene, natural anti-depressant, one pot cooking, one pot meal, one pot recipe, red wine, red wine slow braised beef stew, slow braised stew, Tender Loving Spice Co.